The summer sun (while fun), can wreak havoc on the thinnest layer of skin on your body, your face. The Fall season is the perfect time to start a facial regimen right in the comfort of your home. Keep it simple! Use what you already have at home and save those coins for a dope pair of Fall knee boots! Here are three Fall DIY beauty tips for the upcoming Fall season to keep your PRETTY , LITTY! Use Baking Soda As an Exfoliate. Yep! I got baking soda, baking soda! Sooo, I had no idea that baking soda is an awesome beauty aide you can use to exfoliate your skin. The fine particles within baking soda are gentle against your delicate facial skin. The end result… a flawless filter appearance on your skin worthy for any selfie post for the GRAM! Not to mention your face feels like velvet when you’re done. Crock Pot for a Steam Treatment. Yaaaaasss! While waiting for your BAE to come over to the palace, plug up that crock pot and give your face a quick steam treatment! This process helps to free dead cells, dirt, bacteria or other trapped matter that could be causing breakouts. The warm steam also allows for blood circulation which allows for a warm and healthful glow. Now if you are a naturalista’ (hair that is) you will want to perform this in between a press or twist out… the steam wreaks havoc on a good fresh do! Also for an added benefit, add essential oil drops to your water. Essential oils like Lavender, or Rose Water to really feel refreshed and adds a burst of freshness to your home. If you are really feeling the Fall fever, add cinnamon essence and vanilla extract. Lemon, Lemon, LEMON (Gucci Mane Voice)! 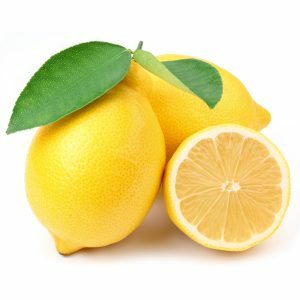 So did you know that lemon halves will help lighten discolored underarms and elbows? I do experience dark elbows and underarms from time to time. This is a healthy way to lighten unwanted discoloration. The citric acid in lemons contains a natural lightening agent. The process does take some time, but at least it smells delightful and usually 2 lemons are fifty cents at your local farmer’s market or grocery. Please be aware not all beauty regimens work for everyone. If you have sensitive skin, severe acne, or any existing facial conditions, please stick to what works best for you or is suggested by your healthcare professional. Now off to my kitchen pantry I go.